The HVAC system in your home plays an important function in regulating indoor temperatures and providing heating and cooling all year round for your safety, comfort, and convenience. Proper care and maintenance improves the reliability and energy efficiency of your heating and cooling, and can make this aspect of home ownership much more smooth and stress-free. Jackson HVAC Pros offers a number of services to make managing the heating and cooling of your home simple and affordable. We provide furnace and air conditioning installations, replacements, and repairs for homeowners throughout Jackson, Michigan and the surrounding areas. Contact us for professional HVAC services from a qualified and reputable HVAC company. An HVAC system is comprised of many different components that work together to regulate the temperature within your home. A problem with any part of the HVAC system can mean less efficiency or a complete loss of heating or cooling. Often, it is hard for customers to pinpoint the exact source of the problem, and we wouldn't expect them to have the knowledge and diagnostic tools to do so. In order to make things easier and more convenient for our customers, we offer comprehensive HVAC services that address a wide range of problems, including problems with heaters, heat pumps, trane, ducts, compressors, furnaces, and air conditioning units. Jackson HVAC Pros has a large team of highly qualified HVAC technicians who are ready to assist customers throughout Jackson, MI and surrounding areas. Our areas of service include Jackson, Brooklyn, Cement City, Concord, Grass Lake, Hanover, Parma, and Springport. We operate all around Michigan Center, Napoleon, Spring Arbor, Vandercook Lake, and Vineyard Lake. We also serve customers in Clark Lake, Horton, Leoni, Liberty, Munith, Norvell, Pleasant Lake, Pulaski, Rives Junction, Sandstone, Tompkins, and Waterloo. If you do not see your city or town listed here but live within the vicinity of these areas, please call us to inquire. Jackson HVAC Pros provides full HVAC services to address any problem with your heating and cooling. This includes installations, maintenance, and repairs for the various parts or components of your HVAC system. We specialize in furnace repairs and air conditioners, but we have the experience and skills to assist with a wide range of issues. In-home heating is vital during the cold winter months in Michigan when temperatures can and do drop below freezing on a regular basis. Keep your family safe and warm with professional heater and furnace maintenance and repair services from Jackson HVAC Pros. Summer is no more forgiving than winters in Michigan. Peak summer temperatures can reach levels that are best described as sweltering. A cool home can be just the shelter you need to feel comfortable on particularly hot days. For an air conditioning system that combats even the hottest outdoor temperatures, contact us for assistance. We provide installations and repairs for central air systems, portable air conditioners, window air conditioners, split air conditioners, and more. Some AC installs will require a flat and even concrete pad, which is also something we can help take care of. The furnace is the heat source for your home. A problem here will undoubtedly affect the ability to keep your home warm during the colder autumn and winter months. Jackson HVAC Pros provides professional furnace repair and replacement services for both gas and electric furnaces to ensure that our customers are always able to get the assistance they need with their home heating. A broken AC can make the indoors almost more unbearable than outdoors during the hot summer season. We know customers need their air conditioning up and running sooner than later when something goes wrong. 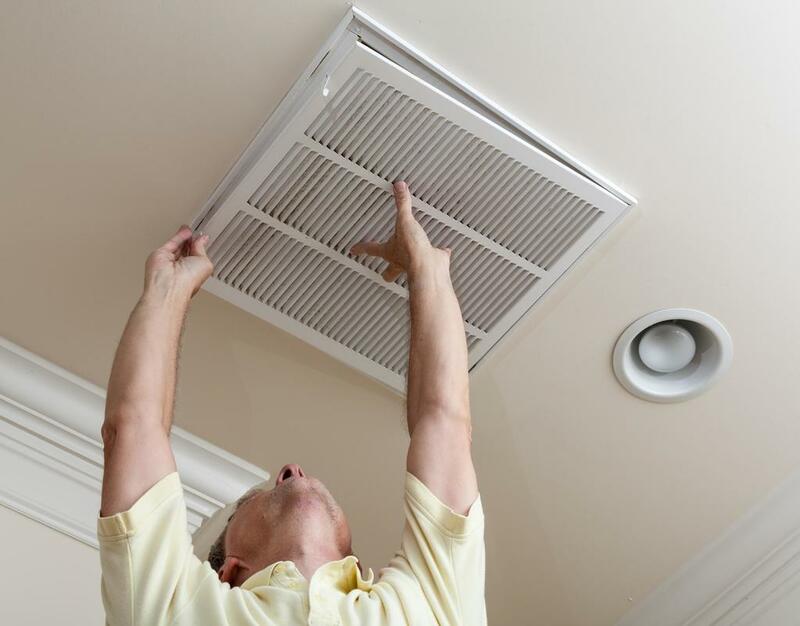 We offer fast and effective repairs for a variety of residential cooling systems. Contact us for more information or assistance with your air conditioner repair. When outdoor temperatures reach extremes, the heating and cooling system of your home becomes more important than ever. An HVAC failure during these times is nothing short of an emergency. It is essential to keep your home at a regulated temperature for reasons pertaining to both comfort and safety. If you have an HVAC emergency, call Jackson HVAC Pros right away for immediate professional assistance. We will get your HVAC system back up and running as it should be in a short amount of time. ​Better heating and cooling for your home starts with a phone call to Jackson HVAC Pros. We are available to answer any questions or inquiries you may have, and help you get set up with the HVAC services you need. Just describe your problem or concerns, and we will do our best to help you find a solution. You can also feel free to reach us by email for more information. "Of all the HVAC companies in the area, my best experiences have been with Jackson HVAC Pros. Now, they are the only company I call for heating and cooling issues." - Erica F.
​"Jackson HVAC Pros lives up to their name. They were able to identify the problem with my heat pump almost immediately and fixed it on the spot. It has been working perfectly ever since. I'd highly recommend them." - Sam W.
"Thank you for fixing our furnace on such short notice. We were extremely worried about how long it would take for us to get our heat back, but you put our minds at ease." - Jim K.